Each year in Australia, the volunteer firefighters anxiously wait and prepare for the hot Summer forecast. Will it be worse than the previous year, more dangerous?.. another Ash Wednesday or Black Saturday?.. The journalists at the Sunrise TV breakfast program have covered many bushfire seasons, seeing the dedication of fire fighting volunteers aka firies, saving lives and homes, seeing fire destroy communities, and also witness these towns and suburbs rebuild. 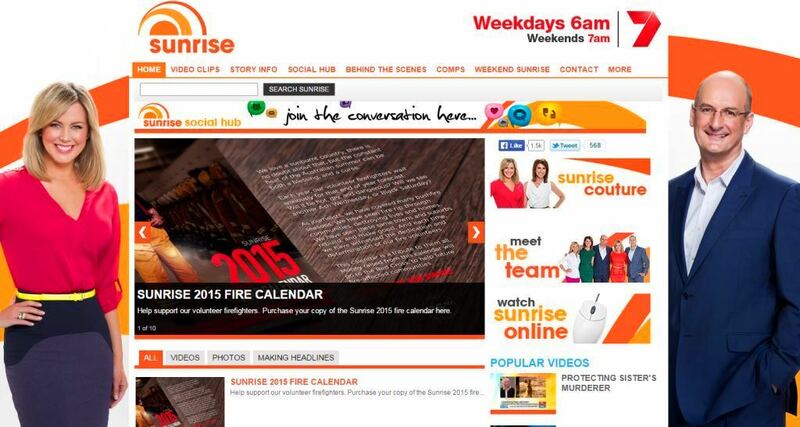 The Sunrise 2015 Fire Calendar is a tribute to them all. Money raised will go to the Red Cross, to help future fire-affected communities. Price $16.50 via PayPal. In a career as a firefighter in Victoria, no day is the same. The role has real variety and genuine career pathways, regardless of your previous experience or background. Firefighting as a career is suited to people with a genuine desire to serve the community, to make a real difference, and thrive while working in a team environment. 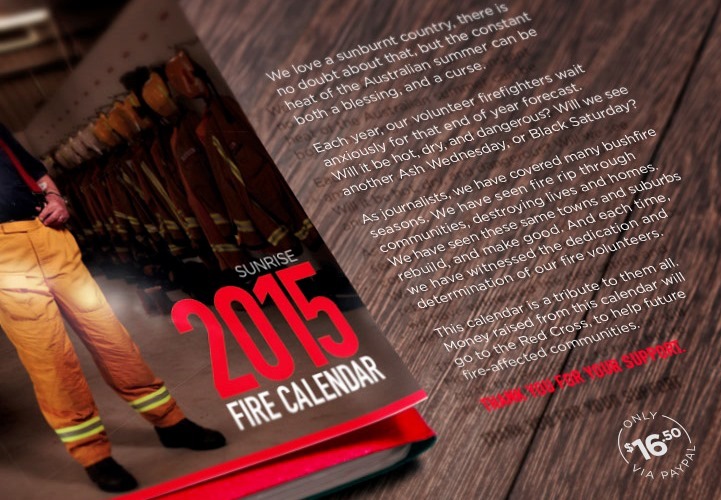 The Australian Firefighters Calendar was established in 1993 to support the Children’s Hospital Foundation, to provide funds for research into children’s burns. It is now in the 26th year, and The Australian Firefighters Calendar has raised over $2.8 million for various charities.